The Bramsen Animal Ambassador Pavilion embodies the mission of the Chicago Zoological Society, which is “to inspire conservation leadership by connecting people with wildlife and nature.” The Pavilion, as a part of the Hamill Family Wild Encounters exhibit at the Brookfield Zoo, provides space for visitors to interact one-on-one with animals in the Animal Ambassador Program. 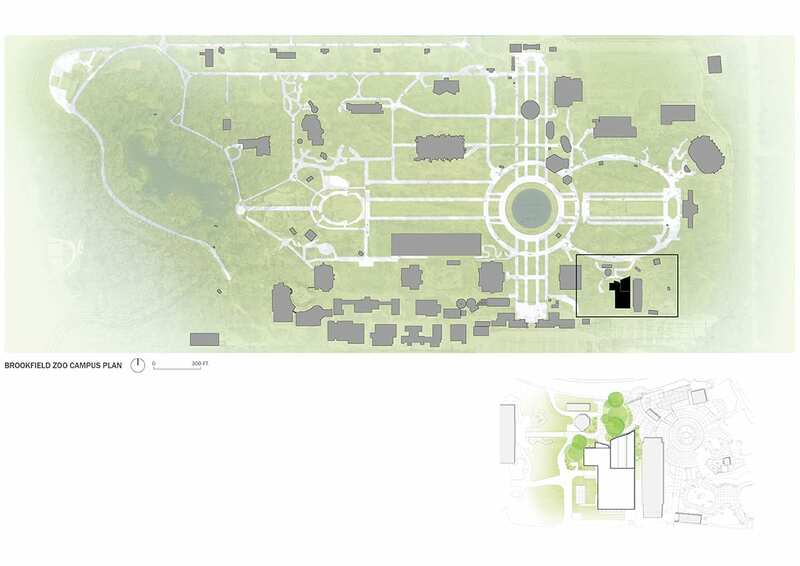 It features a public event space, housing for a variety of animals, and facilities for caretakers. 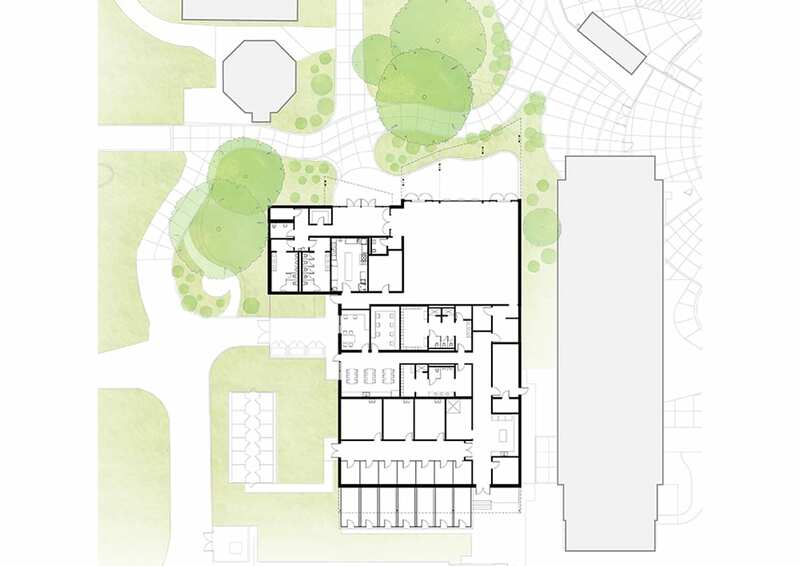 Originally planned as a strictly utilitarian facility, the Pavilion developed into a refined, flexible, and immersive event space that welcomes visitors and maintains a connection to the outdoors. A sculptural canopy floats above the primary events spaces, which include an outdoor patio and a light-filled room for diverse programs. Wooden slats and lighting along the canopy ceiling contribute to the seamless transition from indoors to outdoors. The Pavilion has proven to be an adaptable venue that can house a variety of events, from weddings to animal-assisted therapy for children with autism; this kind of broad community engagement captures the spirit of the Zoo’s mission. 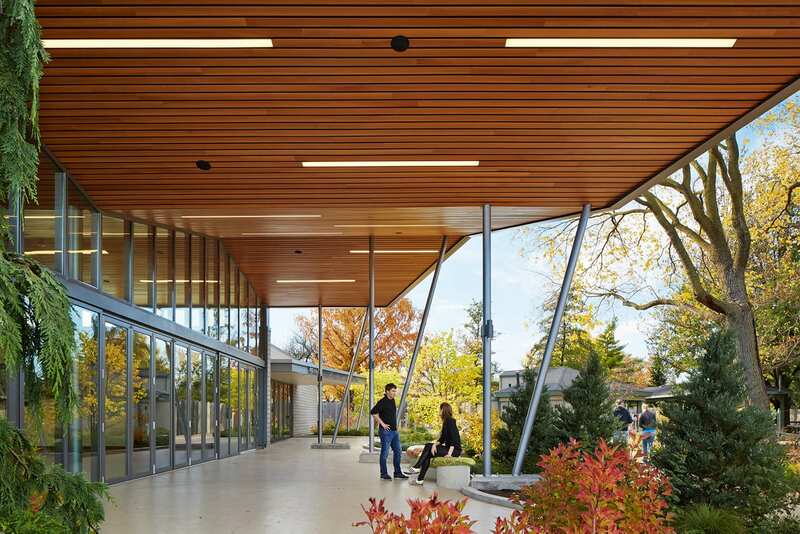 The walls of the entry are clad in wood salvaged from a red barn that previously stood on the site, supporting the building’s LEED Silver sustainability goal. Wood certified by the Forest Stewardship Council and other products with high levels of pre-consumer and post-consumer recycled content were also installed. Many materials were extracted, harvested, or manufactured within 500 miles of the site to reduce the carbon footprint. 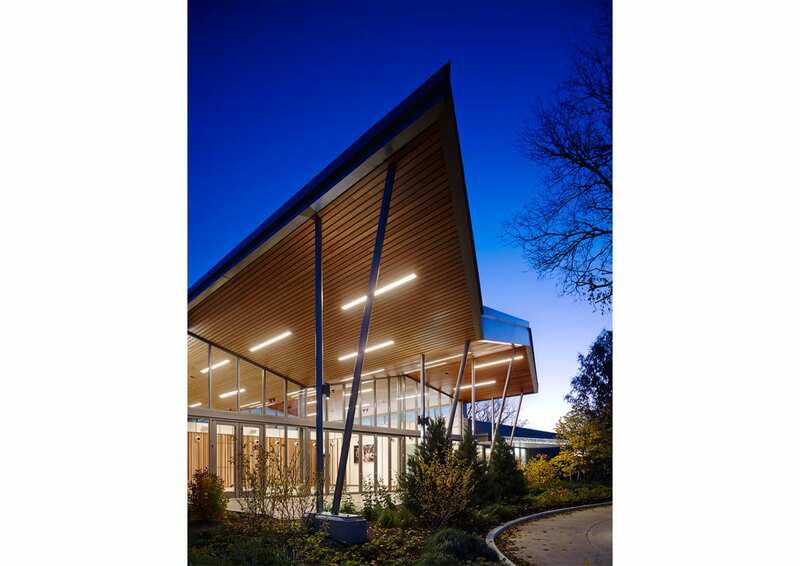 Additional sustainability features include thermally-efficient windows, sensor activated low-flow plumbing fixtures, solar tubes for daylighting, and in-floor radiant heating. 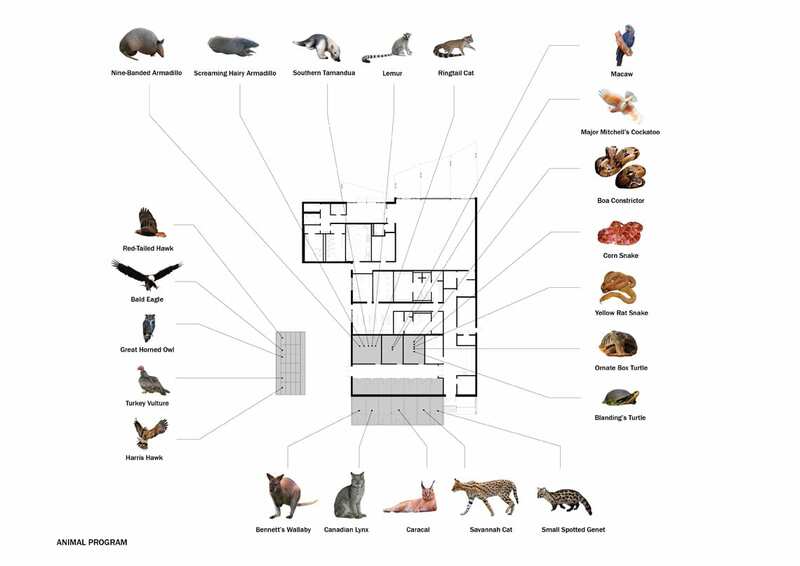 By connecting people with wildlife and promoting conservation leadership, the Animal Ambassador Pavilion enhances the Brookfield Zoo and benefits the community.